Enjoy the beauty of the outdoors in our lovely courtyard. 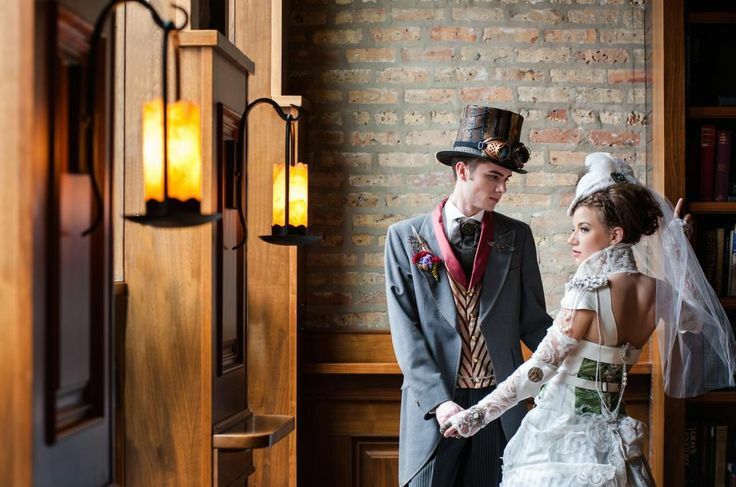 With exposed brick and walls of ivy, cocktail hour – or your outdoor wedding – will be unforgettable. Our cultivated arch for small outdoor weddings makes “I do” green (and gorgeous). Walk down the aisle in vintage style. Wooden church pews, glittering chandeliers, and Greek columns frame the ceremony space, which is truly one-of-a-kind. The ceremony space also works well for meetings and presentations, set in theatre style. Add gorgeous vintage bars, endless pieces to entertain and interest guests, and you’ll easily have the event of the year! Celebrate the night away in our reception space. 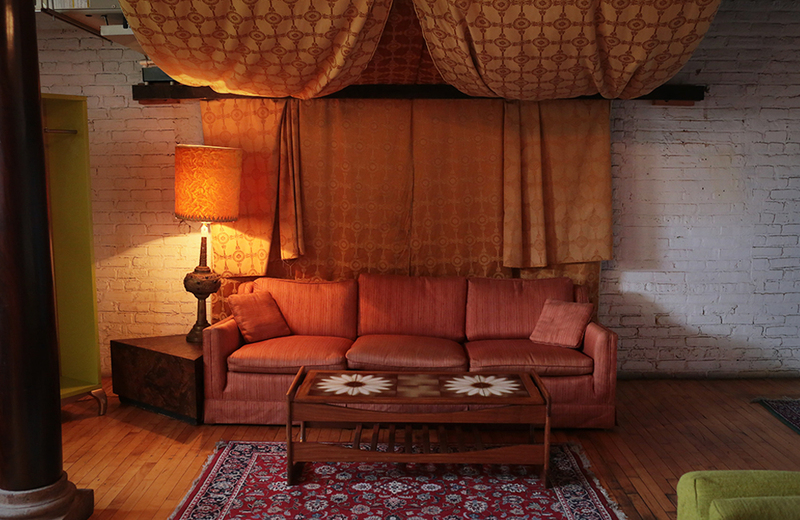 Wood floors, exposed brick, and a plethora of vintage furniture help deck your event out in style. Want to feature your entertainment properly? We have two stages for bands, DJs, and – dare we suggest – impromptu dance-offs. We offer a three-room suite adjacent to the second floor space which can be used for a bridal party, for a corporate or non-profit event registration/check in, as a “green room” or volunteer space, or a VIP area. 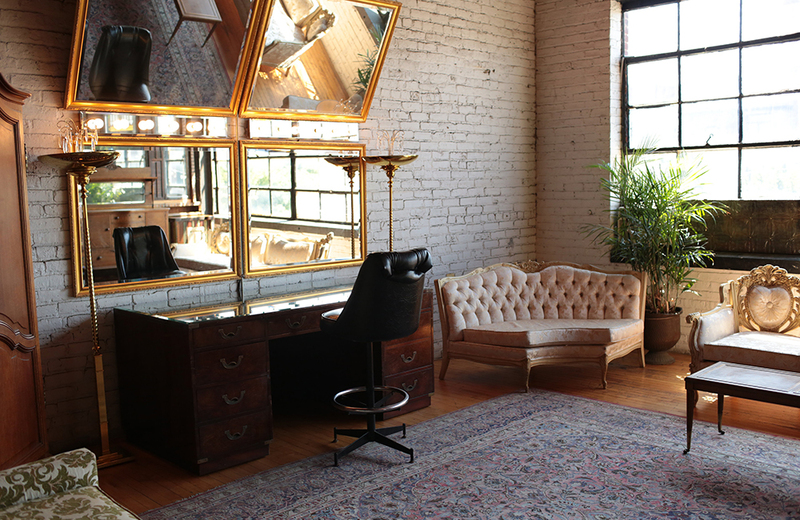 Room 1 features a gigantic vintage Hollywood-style mirror, tasteful couches, and lovely wood panels for privacy. Room 2 offers a getaway with just the right touches for a little relaxation time before (or even during) your event. The two rooms adjoin a large common area. Our newest addition to our available spaces is a 2,400 square foot meeting room with a private restroom. This space is perfect for business meetings as well as day or evening private parties. Get creative! Our unique space offers the perfect backdrop for many types of photoshoots for engagement, family, corporate, Commercial and video/film. You will have access to all three floors of our space as well as our outdoor courtyard, where the iconic CHICAGO sign is located.